verinice takes up where vulnerability scanners such as the open source solution OpenVAS or Greenbone GSM leave off. Scanners find the weak spots - an ISMS tool like verinice initiates a process and ensures remedy. Together they team up as ideal combination for an efficient vulnerability management. even a network with just a few hundred clients easily acumulates thousands of vulnerabilities that nee to be assigned to the appropriate systems, services and administrators. If an agent claims to have fixed a vulnerability verinice checks this with the next scan and completes the task - or adresses the agent again. Without legwork of the safety officer. Of course processing status, response times, etc. can be issued as a report. 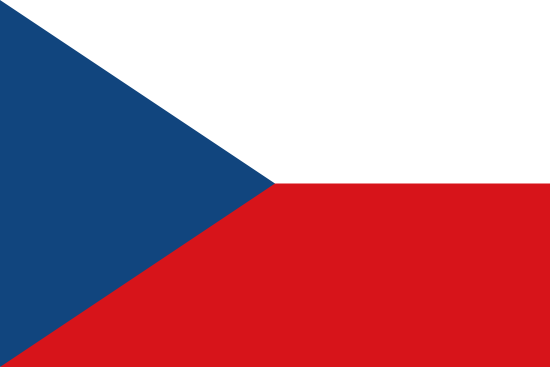 Greenbone published a case study presenting the vulnerability management at LEONI, a worldwide automotive supplier. 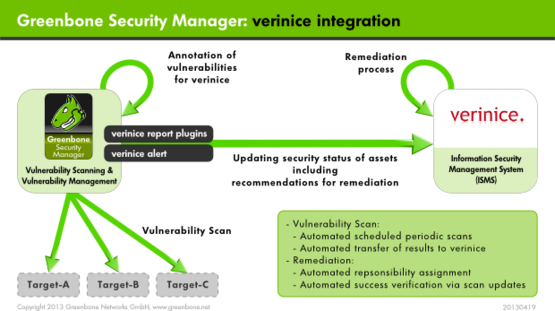 Learn which advantages the automatised vulnerability management with Greenbone and verinice generates: Leoni profites from the efficient handling of security aspects concerning the global corporate IT.